Many people moving, downsizing, or selling off a family home, fail to realize that once you have signed an estate sale contract it is binding just like any other contract. You have committed to an estate sale company and they have committed with you. For this reason it is important to you as a seller that you understand the contract and ask any questions. Do not feel hesitant or intimidated to say I don’t understand this clause. The estate liquidator wants a clear understanding between you both and a good working relationship. Estate sale companies are discovering (especially in packed homes) that sellers are coming in after they begin their setup, and remove items they hadn’t seen in years. This is not the way it works and most estate liquidators have a clause in their estate sale contract that says they may charge you a full commission on any items removed. 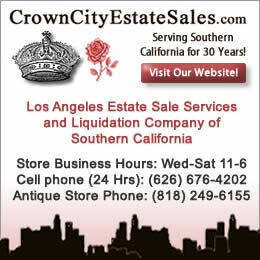 EstateSalesNews.com has written about estate sale contracts in the past, but there are topics that deserve review. One of them is the final payout to sellers of the net proceeds. Every estate sale contract should have a paragraph that addresses the specifics of how and when you, as a seller, will receive your net proceeds. It should lay out either the number of days (and this should be business days – excluding weekends and holidays preferably) or weeks, but certainly within 30 days of the conclusion of the sale. Each estate sale company has a process they go through, however, 30 days should be the maximum and if you have a contract that is not specific, do not sign it. You will not have any guarantee of when or even if you will be paid. 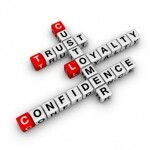 Estate sale companies that have good business ethics (99.9%) want you to know when you will be paid. They also want you to know how your will receive your proceeds, either by check, cashiers check, or in cash. When you review the contract with your prospective estate sale company look for the payout clause and ask questions if you have any. Estate sale companies want to have a good working relationship with you as a client. It benefits both of you. 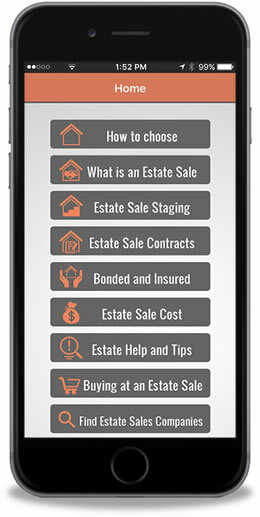 Week after week estate sale contracts is one of the top searches on Estate Sales News. As the estate liquidation business has grown, so have some issues with sellers and estate sale contracts. Many sellers believe that they can micro-manage an estate sale even though they have hired and signed a contract with a professional estate sale company. Let’s review for clarity and understanding. When you review the contract with the estate sale company, this is the time to ask any questions. It is important as a seller that you understand the terms of the contract and what is expected of you and what you should or should not expect from the estate sale company. Who is responsible for access to the property. Electric, water, and heat will be provided by the selling party. Any items that are not being included in the sale have already been removed or written into an addendum and this should be initialed by sellers and the estate sale company. If the estate sale company (and almost all do) have a cancellation clause for the contract. Sellers should initial this and remember that unless stated in the clause could be legally held responsible for cancelling the sale – no you don’t have an opportunity to keep interviewing other companies for a lower commission. You have made your choice. Again initials by all parties should be expected. Many estate sale companies have a clause that permits them to charge you the seller/s the commission on the sale value of any item removed from the sale once the contract is signed and/or the sale is staged. They usually deduct it from a seller’s net proceeds. As a seller don’t expect to renegotiate a commission or fee during or after the sale. Estate sale companies have costs (staff, advertising, etc.) and their commission is based on that. Remember why you hired an estate sale company – because they are professional, familiar with area prices, and their marketing expertise. Things you can’t learn in a video or book. 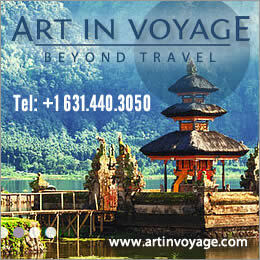 It takes hands on and time to gain this type of knowledge and experience. If you aren’t ready to sign a contract – don’t. An estate sale contract is a legal document and should be respected and taken seriously. Be confident, comfortable, and secure with your choice of an estate sale company. Before you sign on the bottom line and initial, also make sure you have done your due diligence. Personal referrals are always the best source for finding an estate sale company, but if you use a service, remember that the majority of these services charge a fee for the estate liquidator to be part of them even if they meet their standards. Keep in mind that an estate sale company cannot control weather, the economy (such as the stock market having a rough two weeks or so lately), and the number of other estate liquidations competing with yours. An estate sale is a professional service to liquidate personal property contents for seller/s and hopefully provide a good financial outcome for all parties involved. With 1000’s of estate sales taking place today a quick reminder that here on Estate Sales News you can learn about estate sales and estate sale contracts. 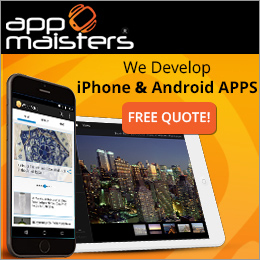 We have hundreds of articles on different subjects that you can search and video as well. Have a great weekend estate saling. 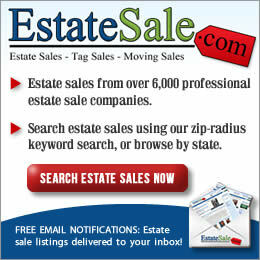 EstateSalesNews.com is your #1 source for estates information and news. Please let the estate sale companies you visit know you read Estate Sales News and follow us on Twitter, Facebook, and Pinterest. The next paragraph in the contract deals with liability insurance. The seller(s) whoever they are must have a liability policy on the property for their protection and the estate sale company’s protection. The estate sale liquidator should also have their own liability policy. This paragraph deals with the disposal or removal of any items not sold. It should clearly state who will be responsible and if there is a fee. It should be stated in the contract that if any permits are required who will obtain and pay for the permits. The last basic we will cover for an estate sale contract is the part for signature of all parties involved and dates. Having a blank lined addendum for additional information, considerations, etc. is always a good practice. Many estate sale companies advertise being bonded and insured. The addendum is a good place for this information to be included, but sellers be sure to ask about the type of bond an estate sale company has. See our archives for information on bonded and insured. We have only covered what we consider the basics of an estate sale contract. As stated Wednesday, we are not an attorney and we do not give legal advice. The information provided is based on our 25 years in the personal property liquidation business. Every estate sale company has their own requirements, often based on state and municipality laws. The basics provided are intended as guidelines and assistance. The most important topic reviewed by sellers and estate sale liquidators on Estate Sales News is the estate sale contract. For the benefit of sellers and estate sale companies we present some of the topics of concern to both. Clarity in an estate liquidation contract can prevent misunderstandings and reduce stress. Estate Sales News is not an attorney and we do not give legal advice. The information presented is based on 25 plus years of estate liquidation experience. Please consult an attorney for legal advice or contract legalities. Next to some areas you will see the word “initial”. This is to insure that all parties have read and agreed to the content of the paragraph. That way all parties are working on the same “page” so to speak. The contract should be dated and contain the dates and times of the estate sale or event. It should also contain the complete address of the sale. The contract should clearly state who the seller or responsible party is (whether it is an attorney acting for the estate, heir, family member, or even a Realtor). The next section would deal with cancellation of the sale. This depends on the estate sale company, however, many contracts include a cancellation clause with a specific fee. If work has been done by the estate liquidator and staff and advertisements have been made they should be compensated for their time and expenses. Each company operates differently. If the contract has this clause “initial”. Next would come advertising and who is responsible for payment of the ads. At this point in the contract it is advisable to let the seller(s) know that the company will make all possible attempts to achieve the best possible financial results, however, they cannot make any guarantees of the prices or of the gross sale total. An estate liquidation company cannot control weather, attendance, market conditions or other competition in the area. All they can do is make their best effort and that is why sellers, it is up to you to make your estate liquidator choice having done your do diligence to find the estate sale company you feel will be the most successful and professional. As a seller you have a responsibility to so make sure you take time to research, become informed, and make the best choice possible. Please note that every estate liquidator chooses a contract that works for them. There is more for our discussion on Thursday, however, many contracts from estate sale companies will contain more and many may contain less. Estate Sales News is here as a resource. Some may agree others may not, but getting out matters of public concern and interest as well presenting the views and concerns of estate liquidators and sellers is what this news magazine is here for. It is important that all parties understand their responsibilities and obligations. Preventing stress and tension between sellers and estate liquidators during this process is important. Estate Sales News is receiving a lot of feed back on estate sales contracts from sellers and estate sales companies so we would like to address the most important issues pertaining to both the perspective seller and the estate sale company. Once you have chosen an estate liquidator make sure you have a written contract. It should be specific about the commission or fees. Date of the sale and how and when you will be paid. It should spell out exactly when you will owe a commission. Do not expect an estate sale company to agree to conduct a sale after they have photographed and started their work without charging you a commission if you pre-sell or withdraw items after the contract is signed and before the sale. Like any other business they have started to work for you and advertise. It is your obligation as a seller to either sell or withdraw items from the sale prior to the signing of a contract. Then the estate sale company has an opportunity to decide whether the contents left will warrant their accepting the sale and they can advertise accordingly. Most estate sale companies will include a clause that says once you sign if anything is removed or sold by you then you will owe a commission on those items. If you are truly not sure about a few (“key word being few”) items then include them on an addendum. An estate sale contract is like any other contract. It is an agreement to perform for both parties. If you are selling a property and the new purchasers are interested, you should inform the estate sale company prior to signing a contract and decide who would best serve your interest. Emotions can sometimes be costly so it may be financially better to let an estate liquidator negotiate for you. 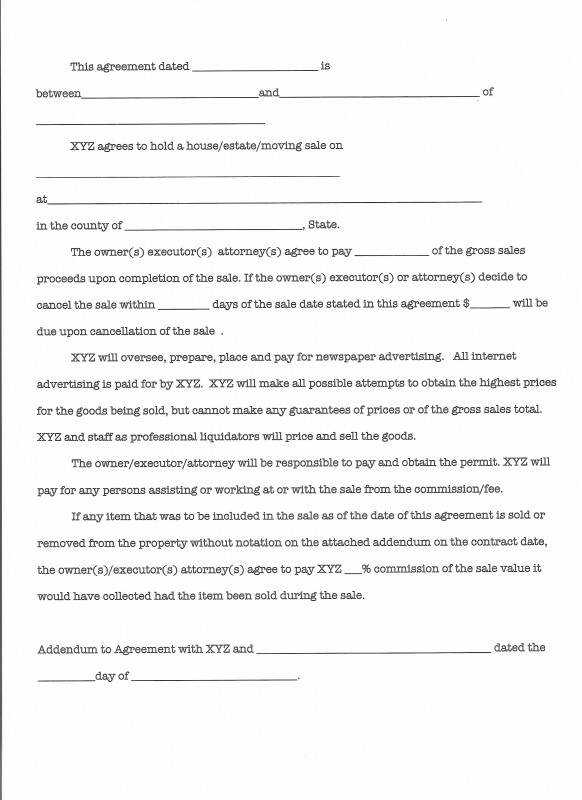 Your contract with sellers should include several things, including the commission or fees to be charged, dates of sale, what happens when items or sold or removed after the signing of the contract, a cancellation clause, how you will pay the seller and account for items sold, if you charge the seller for advertising or if the seller is paying for the advertising. You should also set out your ground rules. Will you conduct the sale if the seller is present, what about the cleanout, any additional expenses, and very important if the seller sells or withdraws items after the signing of the contract will they be charged and how much. Again your contract is an agreement for performance and it should state what you will do should the seller not abide by the signed contract, but also what you are obligated to do for the seller. 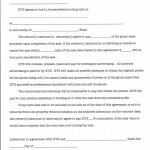 If you click on the contract image you will see a partial contract example. It is simplistic and may not be copied for use. It is strictly for information purposes. One caveat, I am not an attorney so the only advice I will give pertains to ethics and expectations not the legalities. Estate Sale Contracts – What do you want to know? Estate Sales News monitors the categories and questions everyday on our magazine and the number one request is estate sale contracts. To our readers, please let us know what questions you have? You can email your questions to contact@estatesalesnews.com. Once we have heard from perspective sellers and estate sale companies we will be updating a list to assist all. An estate sale contract should protect all parties and lay out what is expected from sellers, and esate sale companies. It should also be easy to read and understand. Estate Sales News will be keeping you informed on our responses so please take the time to email us and let us know your thoughts and/or concerns with regard to estate sale contracts. We have published a page on what to look for in an estate sale contract and we have heard from readers that this has been helpful when interviewing estate sale companies. The estate sale contract is so important. It is what determines everything from the date of the sale, time, location, costs, and how you receive your net proceeds. It also addresses the obligation of the estate liquidator and your obligation as the seller, granting access to the premises, not removing items once the sale process is underway unless there is a clear written understanding. It should also include who is paying for advertising, credit card fees (if used) and what the estate sale company will or will not do at the end of the sale. To review what to look for and expect for everyone’s protection click here.